This entry was posted in Jesus on April 30, 2015 by Unashamed of Jesus. I was nominated for this award by JcCee. Her blog link is http://www.jcceewatkinsbarney.com I would like to first Thank God for this wonderful opportunity and I would like to thank JcCee. 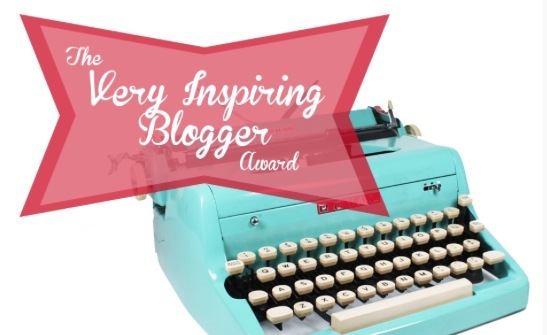 Thank you JcCee for thinking of my blog for this award and your very kind words. I did not start this blog to receive any awards or to be nominated for 1. My sole purpose is to in away save a sinner or return a lost believer back to Christ. However, I do appreciate that my blog has at least touched 1 person enough to be nominated for this wonderful award. I am not sure how the acceptance of this nomination is supposed to go. If there are any questions you want to ask to get to know me a little better please feel free to ask in the comment section. With the recent natural disasters, including Earthquake in Nepal and Volcano in Chile, you have to wonder whether the end is near. All the things Jesus foretold us would happen are going on right now at an alarming rate. But still is anyone listening? Is anyone stopping to pray to God and ask for mercy and redemption? Is anyone preparing for the return of Jesus Christ? Prophet Joel prophesized about these great events also, which was then preached by Peter during Pentecost. Are we in the last days? Is our Lord Jesus coming very soon? If he does are you ready to stand before him? Do you believe it’s all global warming or is it Gods warning? Do you think about the awesome power of God? It a split second he can take a nation that took centuries to build and destroy it in seconds. Are you really still too proud to bow before our Creator? Jesus will return like a thief in the night, what does that mean? Means he will come when nobody expects it. And after he raptures up his followers, hell on Earth will begin. The natural disasters we see today are just a sample of what’s to come. This entry was posted in Advent, Christianity, faith, God, Jesus, Religion, Sign and tagged Advent, Birthday, Christianity, God, Jesus, Religion, Sign on April 30, 2015 by Unashamed of Jesus. It’s amazing when you think about all the miracles Jesus had performed and prophecies he fulfilled right in front of people, and yet many still did not believe. That’s why humility comes wisdom. As people we become proud and set in our ways. God could be talking to us at this very moment, but we are too busy, distracted, or plainly just not interested in hearing or seeing. Could you imagine living during the days of Jesus, actually seeing him heal the sick, speaking the Word of God with authority? The disciples had seen many miracles and heard many parables, but yet all of them still doubted who Jesus was. What’s it going to take for you to truly hear and see the Power of God? This is why Jesus spoke in parables, so people could relate to God in there every days life. This is common nowadays also as many try to teach the Word of God being relatable to your current life. But why do you force God to water down his gospel so you will accept it? All of us probably in our lifetimes have experienced our own miracle that we can’t explain, only God could have performed. So why can’t we have faith? 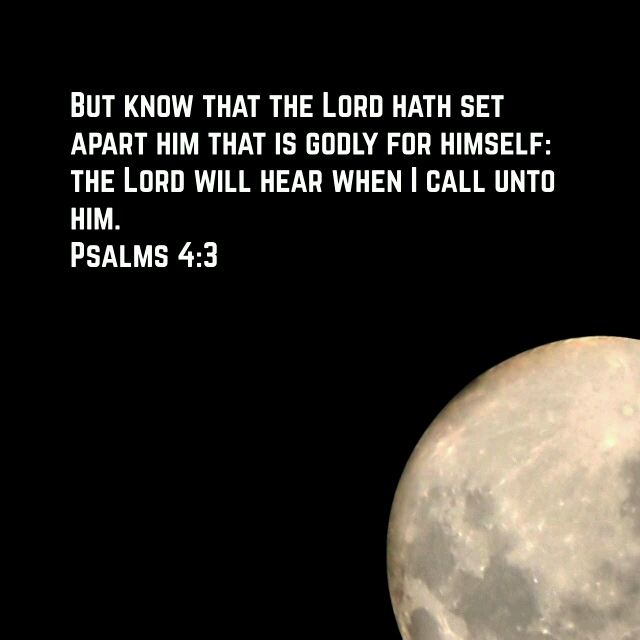 Why don’t you hear and see God? Jesus had fulfilled this prophecy, until people open there hearts with love, they will never understand God. Just as Jesus said the greatest commandment is to love God with all our hearts and love each other as Christ has loved us. This entry was posted in Advent, Bible, Christianity, faith, God, Jesus, Religion and tagged Advent, Bible, Christianity, Faith, God, Jesus, Religion on April 28, 2015 by Unashamed of Jesus. The high priest wanted to cover up the crucifixion of Jesus and hoped everyone would just forget he existed. But even today, over 2000 years later, Jesus is still being praised today, Why? Because he has risen and he lives evermore. The world today is still trying to kill Jesus. They create false religions and false prophets to blasphemy his name. There is only way to the Father and that is thru the Son. Jesus is exalted the name above all names, the King of Kings, sitting at the right hand of the Father. He didn’t come to condemn the world but to save it. Jesus is the only way to redemption. God has giving us the gift of the Holy Spirit, the same power that resurrected Jesus from the dead, lives inside those who believe Jesus is the Messiah. This entry was posted in Advent, Bible, Christianity, faith, God, Jesus, Religion and tagged Advent, Bible, Christianity, Faith, God, Jesus, Religion on April 27, 2015 by Unashamed of Jesus. Today is my wife’s birthday Heidi, so this blog is to honor her as she is my crown, soulmate, and best friend. God couldn’t have picked a better partner for me, as she completes me. We’ve been together 17 years, married 10 years, and have 2 beautiful children. God has blessed me with this family and I couldn’t ask for anything more. God has shown me great favor with Heidi, as she is a blessing from God. We need to remind ourselves of this about our marriages. It’s easy to become complacent and take your partner for granted. But remember you are blessed with your marriage, as I am blessed with Heidi. As the saying goes Money can’t buy you love. Our love is priceless. To have someone stand by you thru good and bad times is priceless. True love can never be bought, I have been blessed to be married to Heidi and experience true love. I am blessed with my beautiful wife, Heidi, I still remember that day we first met 17 years ago, it was love at first sight. What an awesome God we serve to give us this wonderful life. This entry was posted in Advent, Bible, Birthday, Christianity, faith, God, Jesus and tagged Advent, Bible, Birthday, Christianity, Faith, God, Jesus on April 24, 2015 by Unashamed of Jesus. When you think of the Church, what comes to mind? A building? The original Greek word used in scriptures is “Ekklesia” which means “congregation”, So when we refer to “The Church” we are referring to an assembly of Christians. Just as the above scriptures states, “The Church” has many different people, with different backgrounds and personalities. But we are all one thru Jesus Christ. Just like the foot is no more important than the hand, everyone is important. Everyone plays a critical role for a successful Church. When a member of your Church is suffering, we are all suffering. For “The Church” is one. We rejoice when another member is blessed and we mourn when a member is going thru trials. We The Church is one body, therefor when any part suffers, the whole Church suffers. No part is greater than the other. A thriving Church is a united healthy Church. This entry was posted in Advent, Bible, Christianity, Church, God, Jesus, Religion and tagged Advent, Bible, Christianity, Church, God, Jesus, Religion on April 23, 2015 by Unashamed of Jesus. So might say this is just a coincidence. Random things just happen, just like the Heavens and the Earth randomly formed itself. But God will use your test as a testimony. We can learn from Hillary, she is praising God in the storm. Instead of looking at things in the natural, her bus is destroyed, she was in route the American Music Awards, she looked at the big picture and praised God. She ends her post by saying “My faith is forever deepened because of today. I hope this story deepens yours.” This is how our response to issues should be. Every time something goes wrong in your life, do you take a step back and think “Thank you God for delivering me from that” or do you blame God for your obstacles? What is your story today? What obstacle has God helped you overcome today? Your testimony could change someone’s life, be bold and praise God in the storm. Trust in The Lord, for he is for you and not against you in Jesus name Amen. This entry was posted in Advent, Bible, Christianity, faith, God, Jesus, Lady Antebellum, Religion and tagged Advent, Bible, Christianity, Faith, God, Jesus, Lady Antebellum, Religion on April 22, 2015 by Unashamed of Jesus. Our riches are not of this world but are in Heaven. Don’t let world riches and possessions consume your life. They are temporary for the Kingdom of God is forever. God know every tear that you cried, He know every hair on your head. God’s Kingdom there will be no more death, sickness, or sin. The old Earth shall pass away. The world tells us only the strong survive, both those who live by the sword shall die by the sword. Seek peace, and if your enemy wants to strike you, turn the other cheek. For it is written Man can’t live on Bread alone, but on the Word of God. Your hunger in the world is temporary but your life in Heaven is eternal. You can’t be forgiven unless your willing to forgive others. Judgement is not ours, those who judge shall be judged also. God doesn’t judge people based on there outward appearance but by there heart. You can hide an unclean heart from Man but not from God. Nobody can enter the Kingdom of God until you become a Child of God. Hatred is learned from this world, not born within us. 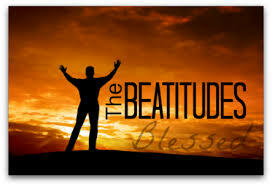 Every Christian that is persecuted is Blessed by God, for there reward is great in Heaven. For they can kill the body but they can kill the soul.